Help Colorado students get the school supplies they need by participating in the 17th annual "Stuff for Students" school supply drive. CONTENT PROVIDED BY LARRY H. MILLER. CONTENT PROVIDED BY LARRY H. MILLER, A 9NEWS PARTNER FOR THE STUFF FOR STUDENT SCHOOL SUPPLY DRIVE. Backpacks, pens, pencils, notebooks and binders are just a few examples of the long list of school supplies that can be costly for teachers and families to purchase annually when they have limited financial resources. 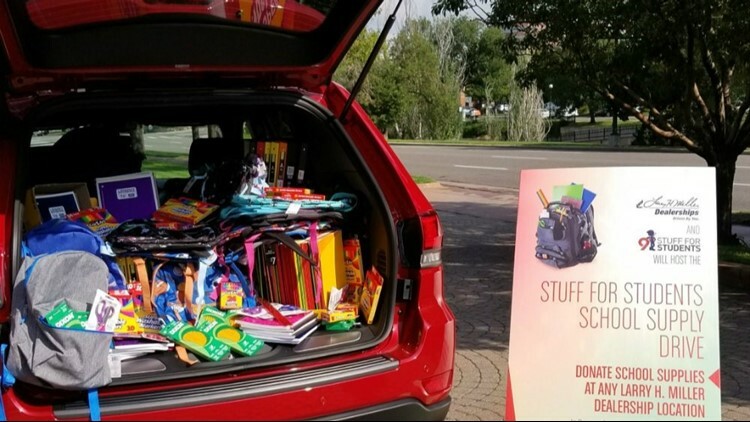 To help ease that burden and assist local students get what they need, Larry H. Miller Dealerships will again partner with Denver’s 9NEWS and Volunteers of America Colorado Branch to support the 17th annual “Stuff for Students” school supply drive. Throughout the month of August, 11 Larry H. Miller dealership locations across the Denver metro area and in Boulder will collect essential items that will be distributed by Volunteers of America to more than 15 Colorado school districts, benefiting students enrolled in pre-K through 12th grade. This year, parents will spend an average of $510 on school supplies, according to a 2018 survey by Deloitte that analyzes back-to-school buying trends. That cost is a financial burden for many Colorado families. As a result, teachers often take on the responsibility of purchasing supplies for their students. According to the Colorado Education Association, Colorado teachers reach into their own pockets every year and spend on average $656 for supplies for their students and classrooms. Approximately 23 percent of school children in the counties served by the VOA are living in poverty, compared to the state average of 14.7 percent. In Colorado school districts, nearly 25,000 pupils enrolled in public schools have been identified as experiencing homelessness. 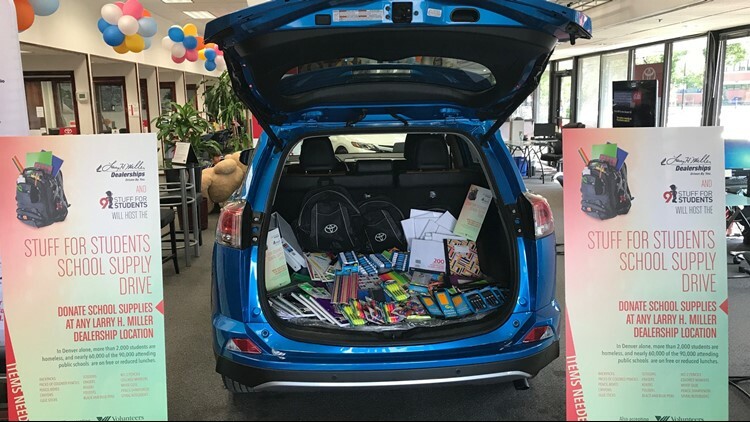 Since 2015, Larry H. Miller Dealerships have raised close to $50,000 in school supplies, including contributing $23,500 in monetary and school supply donations to the 2017 campaign that benefited 60,000 Colorado students.